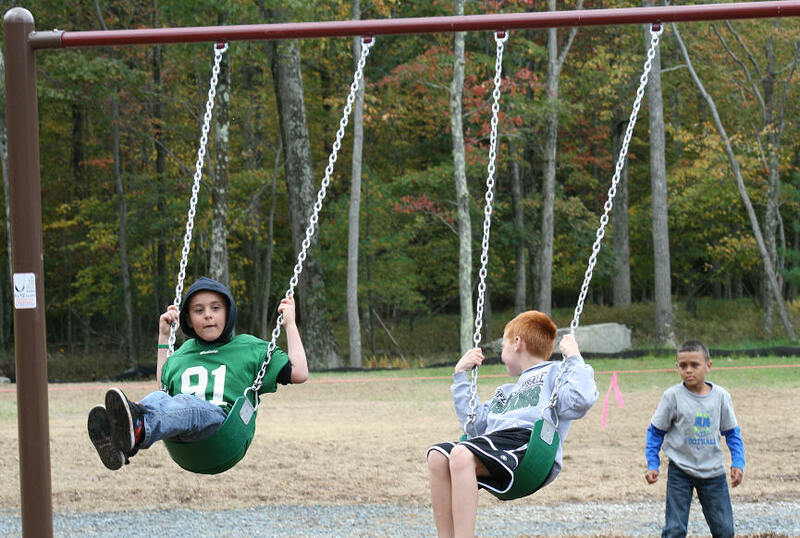 The Dingman Township Recreational park is Officially Open ! Years in the making, the Dingman Township Recreational Park has been officially declared “OPEN” by Thomas Mincer, chairman of the Dingman Township Board of Supervisors. With fellow supervisors Dennis Brink and Kerry Welsh looking on, Chairman Mincer outlined the effort it took to make the park a reality. Mincer noted that park was the dream of long time supervisor Allen J. Greening who unfortunately passed away before he could see his dream realized. In his honor, the Board of Supervisors dedicated the children’s playground and free play area as the Allen J. Greening Memorial Family Play Area. A plaque denoting this honor was accepted on behalf of the Greening family by Allen’s daughter, A.J. , who, as a former member of the township Recreation Board, helped in the planning of the park. A couple hundred township residents attended the Park’s opening along with State Senator Lisa Baker and State Representative Rosemary Brown. Mincer praised the work of Baker and Brown along with State Representative Michael Pfeifer in securing much needed funding to build the Park. Mincer further cited the efforts of the Dingman Township Recreation Board, township employees, the contractors and subcontractors who actually built the park, and the Dingman Township Volunteer Fire Department who watered the fields and kept the grass growing during the dry period last summer. 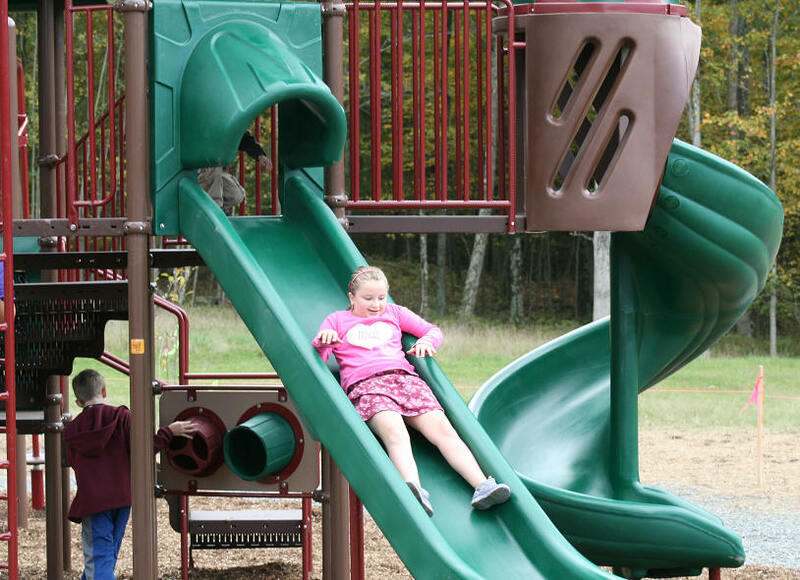 Residents touring the park were amazed at the amenities and the children immediately put them to good use - especially the playground and free play area. 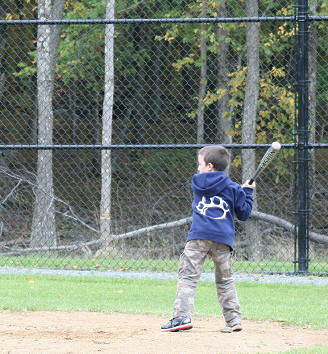 Starting next Spring, area youth leagues will be able to use the baseball and softball fields. The concession stand is expected to be a beehive of activity with the ability to serve cooked food and flush toilets for those that need them. 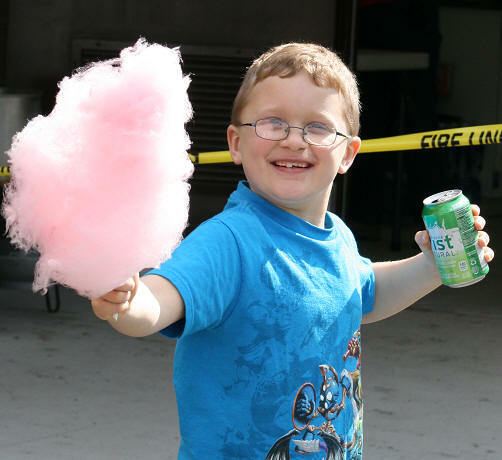 A bounce house, free hot dogs, popcorn and cotton candy made the experience even more enjoyable. It should be noted that although the Park is now open, it is far from complete. The recently seeded football field should be open in 2013. Soccer fields, hiking trails, and much more are planned for the future. Township residents that did not attend the grand opening should visit soon and enjoy the township’s first park.